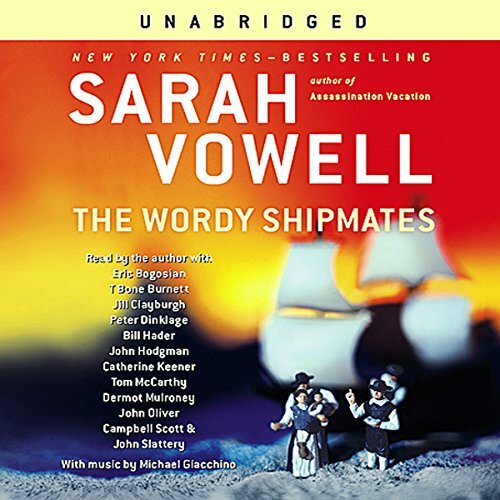 The Wordy Shipmates is New York Times best-selling author Sarah Vowell's exploration of the Puritans and their journey to America to become the people of John Winthrop's "city upon a hill" - a shining example, a "city that cannot be hid." Was Massachusetts Bay Colony governor John Winthrop a communitarian, a Christlike Christian, or conformity's tyrannical enforcer? Answer: Yes! Was Rhode Island's architect, Roger Williams, America's founding freak or the father of the First Amendment? Same difference. What was the Puritans' pet name for the Pope? The Great Whore of Babylon. Sarah Vowell's special brand of armchair history makes the bizarre and esoteric fascinatingly relevant and fun. She takes us from the modern-day reenactment of an Indian massacre to the Mohegan Sun casino, from old-timey Puritan poetry, where "righteousness" is rhymed with "wilderness," to a Mayflower-themed waterslide. Throughout, The Wordy Shipmates is rich in historical fact, humorous insight, and social commentary by one of America's most celebrated voices. Thou shalt enjoy it. 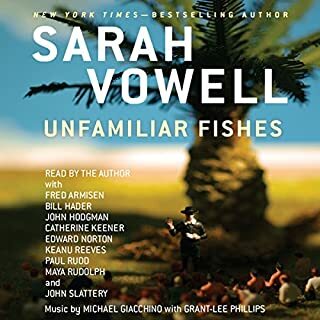 Sarah Vowell's innate medium is audiobooks and radio (NPR). In her squeaky voice, she recounts history with passion, irony and humor intertwined with curent events and pop culture. There is nobody I can think of who is quite rivals her in contemporary commentary. She is a modern version of Mark Twain. If she ever decides to auction off on eBay her attendance at a dinner party, I will certainly be one of the bidders. This book provides a good companion piece to Philbrick's Mayflower which chronicles the Pilgrims from the point of view of the Indian Wars. Vowell focuses on the cousins of the Pilgrims in Boston and the Winthrop legacy. But the real hero of both books turns out to be Roger Williams who founded Rhode Island as a haven for religious freedom and civil liberties / property rights for the Native Americans. Thus, whatever cynicism one has for the Puritan settlers, it is leavened by the pride in the early recognition in this country for the values of freedom. She also balances the strictness of the Protestant ethic with the great devotion to education embodied in the founding of Harvard College that initiated the common goal of educational excellence that is so much part of American ideals. She has brought up some of the most compelling issues surrounding the first european settlers, particularly their religious and philosophic debates with each other and those outside their particular brand of puritanism. 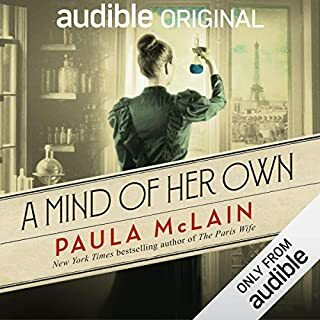 She is helped in the narration by the usual cast of Upper West Siders (Bogosian, Keener, et al) which helps keep the book moving along nicely. Vowell is an amateur historian in the classic sense. She is not formally trained, but her vast knowledge comes from her own curiosity about this country's origins. She ably bounces forward and back in time, commenting freely on current events and viewing the past with a decidedly contemporary lens. She threads in her views on current politics, just as she did in "Assassination Vacation" and "The Partly Cloudy Patriot". She is developing a terrific way to view and understand history - as one other review (Baron's) said, "History as reported by the Daily Show". That says it all. Sarah Vowell is a national treasure. Who is the last person that made understanding the Puritans both cool and fascinating. Reading the Wordy Shipmates helped me connect the dots between our current military adventures and our earliest colonial history. Growing up in Boston you'd think the I'd know more about the Boston Puritans, but somehow teaching this sort of history went out of style during my school years. This funny, smart, and wise book is a great demonstration as to why understanding the Boston Puritans is important for us all. I'm trying to figure out a way to assign this book in the classes I teach (out of a business school!). History as reported by "The Daily Show"
This is wonderful. I am biased. I love neurotic, intelligent, sarcastic women. Oh baby. It's a good thing I encountered this in audio format because my eyes kept rolling back in my head at the sheer wonderfullness of it. She isn't intimidated by history, and she brings history alive in a quirky and relevant way. She enhances the narrative with just the right amount of historical context, and then shows how politicians today are influenced by these characters even today. I think if you like "The Daily Show" you will like this. Oh, and if you like "This American Life." You don't have to like both, just one will do. On the quibble front, the interspersing of quotes didn't work as well as it could have. It left Ms. Vowell sounding like she was at the end of her sentence when it was the middle. I suggest she read the full sentence and the audio engineer insert the actors' voices, so it sounds like she is a really good mimic rather than she stopped and someone else started. 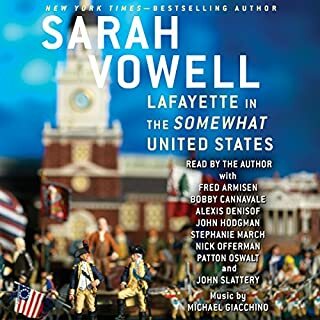 Sarah Vowell writes history with the voices of humor and irony. The Wordy Shipmates is highly entertaining while it clearly draws out modern similarities and points out various repercussions and misrepresentations in todays society. I found the book to be equally enjoyable and informative. I greatly enjoyed the slightly liberal narrative voice while having a difficult time adjusting to the audio voices. Over all I think this is an excellent lively read and I cherish Vowell as one of my favorite non-fiction writers. 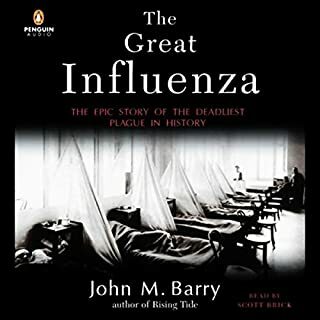 This audiobook rocks. I say "audiobook" and not "book" because not only is the content great, it actually SOUNDS good. If you are familiar to audiobooks, you realize some are tragically awful sounding. This audiobook features interludes of sea voyage inspired music and humorous yet realistic renditions of the Puritan letters, etc. Makes it almost fun to be stuck in traffic. 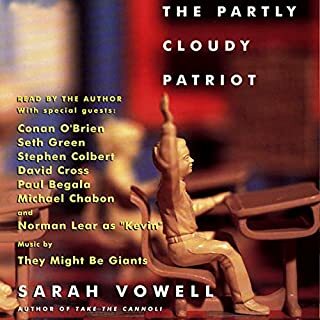 That being said, the true value of this book is the witty humor of Sarah Vowell, the mix of pure intelligence with pop culture references, and the thorough research and obvious passion with which it was clearly created. SV's findings are important in the context of our current culture and world issues and should be an urgent call to seriously (and humorously) consider our actions based on the Puritan culture and what we've learned (or haven't learned) about it. Thank you Sarah! 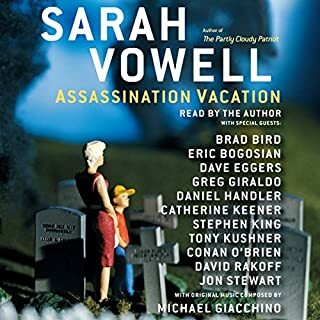 This was my first experience with Sara Vowell, so I was unsure of what I was getting into as she began her sqeaky, little-girl's voice narration. My first reaction was that the whole thing was going to be a slapstick sarcastic tirade about American historical events, and I was a bit wary. As the narrative evolved, however, I began to appreciate the depth of historical understanding Vowell possesses and portrays. While her voice continues to highlight (and thus comment upon) various historical incongruencies in America's past, its famous personalities' heroic hypocracies, and the horrific injustice thrust upon indigenous peoples under the banner of liberty and liberality, she manages to treat events of the distant past with a large degree of contextual fairness. Though I listened to this book over a month ago, many scenes and passages from it still weigh on my conscieousness and I feel I've come away better educated and wanting more. While it is possible to eventually adjust to Vowell's unusual voice, the layering in of the many male voices making up her textual quotations really does not work. There is an uncomfortable pause and break in nearly every case, and the effect is that the whole performance sounds like a student readers' theater. I would vote for one skillful reader to replace all present readers for one serious and meaningful performance. Sarah manages to make old news topical. She is capable of relating American History with American news all the while making Anne Hutchinson a girl youd like to see drunk. Amazingly fun. Hard to believe a subject like the Puritans could be this interesting or this funny. Ms. Vowell is a national treasure.